'The Amazing Spider-Man 2' Super Bowl trailer is here! Okay, just the first 40 seconds, but it's still enough to get excited about. Some of this footage we've seen before, although I noticed several new shots - including one involving Gwen Stacy (Emma Stone) in a big action scene. "You wanted to be the hero? Now you gotta pay the price." 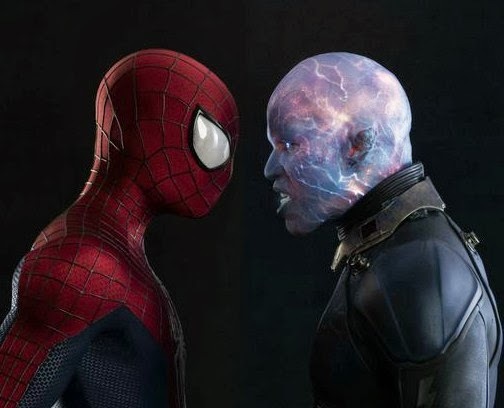 Those ominous words are spoken by Electro (Jamie Foxx), and I think those words could describe the theme of the movie - Peter Parker (Andrew Garfield) learns that being a superhero comes with a heavy price. Have a look below, and let me know what you think of the new footage. Don't forget to check back here on Sunday (Feb. 2) for the full trailer.